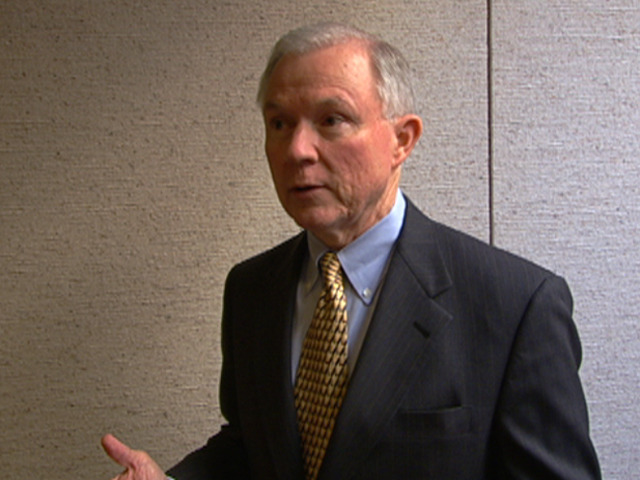 As the Supreme Court confirmation hearings for Elena Kagan drew to a close, CBS News Chief Legal Correspondent Jan Crawford spoke with Senate Judiciary Committee Ranking Member Jeff Sessions (R-Ala.) to get his take on her overall performance over the past three days. Sessions didn't mince words -- "I was disappointed. I have to be honest. I felt she was less than open with us certainly, even less than candid." His harshest criticism of Kagan came in response to her treatment of military recruiters while she was dean at Harvard Law School. Sessions told Crawford in an interview for Friday's edition of "Washington Unplugged" that her response to his questions on the subject "was so consistent with the White House spin." "I really became irritated with it," he added. "It made me angry that they were spinning this thing in a way that I didn't think was accurate." Crawford also asked Sessions about her performance in relation to a 1995 article she wrote as a law professor at the University of Chicago calling Senate confirmation hearings for the Supreme Court "a vapid and hollow charade" because the nominees themselves never say anything. "I think she failed her own test," Sessions quipped. The senator kept mum when it came to whether he would vote against her confirmation, but his response may show how he is leaning. "My comfort level with this nomination is less today than before the hearings started," he said. Watch Friday's Washington Unplugged above also featuring this week's "Flash Points" with CBS News National Security Analyst Juan Zarate and a report from CBS News' Fernando Suarez on preserving the Women's War Memorial in Washington. "Washington Unplugged," CBSNews.com's exclusive daily politics Webshow, appears live on CBSNews.com each weekday at 2:00 p.m. ET. Click here to check out previous episodes.